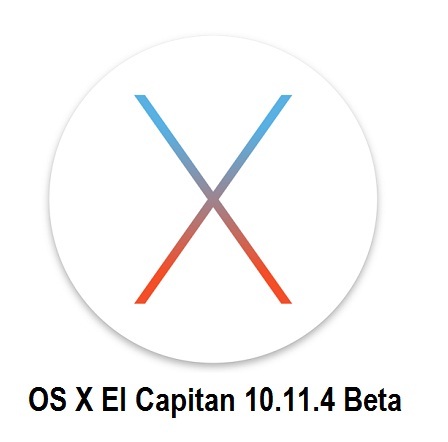 The all new OS X 10.11.4 El Capitan beta series has been started by Apple, and the OS X El Capitan 10.11.4 Beta (Build: 15E64a), OS X Server 5.1 Beta (Build: 15S5127), Xcode 7.3 Beta (Build: 7D162j), and Apple Configurator 2.2 Beta (Build: 3C39) updates have also been seeded for OS X developers and non-developers (general public) for testing and experimenting of all new features, functionalities and apps. So if you're a Mac OS X user then you can upgrade / update to the latest available beta builds for free. The Direct Download Links of OS X 10.11.4 Beta Delta / Combo .DMG Update Files are also provided below. What's New in OS X 10.11.4 Beta Features? Apple has brought several new changes in its latest beta build of OS X El Capitan 10.11.4 i.e. Bugs fixes, compatibility, security, stability and performance improvements and enhancements. What’s New in Xcode 7.3 Beta Features? The app development tool includes; OS X El Capitan 10.11.4 SDK, iOS 9.3 SDK, tvOS 9.2 SDK, and watchOS 2.2 SDK. How to Manually Install OS X 10.11.4 Beta? All Mac desktop PC and laptop users running an old OS X 10.11.3 Beta version can update to newest OS X 10.11.4 version automatically through App Store >> Software Update option. If you're official OS X developer, then you can get OS X 10.11.4 Beta Downloads via OS X developer portal. If you're non-developer, then you can still free install and activate OS X 10.11.4 Beta without developer account UDID using iTunes. NOTE: The official Full and Final OS X El Capitan 10.11.4 (15E65), OS X Server 5.1 (15S5127) and Xcode 7.3 (7D175) is now available by Apple. Download Now!